A new year brings New Year’s resolutions such as losing weight, getting more sleep, and getting organized. 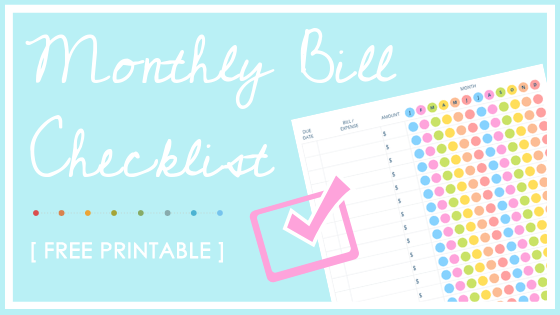 For those of you who decided this is the year to get the finances in order, we’ve got a Free Monthly Bill Checklist that can help. In this post, you’ll find our free download along with a few tips to help get those bills paid on time. Check it out below! It’s easy to lose track of our monthly expenses. Some bills don’t automatically withdraw, and sometimes we switch credit cards midyear. There are many ways life gets in the way when it comes to paying the bills on time. However, regardless of the obstacle, you can get back on track by utilizing the printout below. There are a handful of mobile apps that can assist with monthly bills. Some tools can even track your spending, build a budget, and help you invest along with paying your bills. Some of these apps might cost a few dollars to download or charge a monthly service, depending on the type you chose. For a comprehensive guide to the most affordable apps for keeping bills in check, check out this article from Paste Magazine. If you can, sign up with automatic payments. This way the amount you owe automatically deducts from your checking or savings account each month. No need to mail anything out or make stressful phone calls. Some companies even allow you to choose the payment date, payment amount and a bi-weekly, monthly, or quarterly payment schedule. Creating a calendar strictly for bills (or using a printout such as the one above) will help organize your finances tremendously. Set aside some time to put together a calendar or checklist for the year. 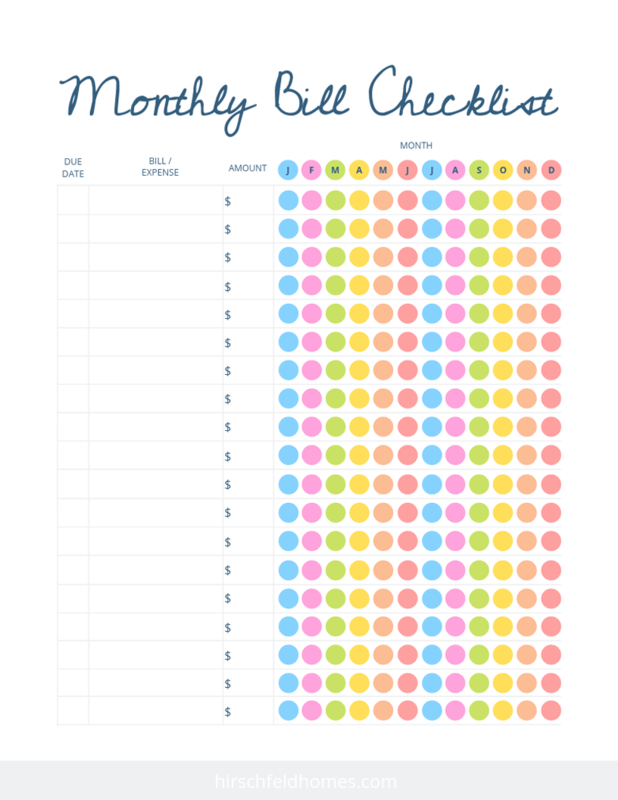 Mark the specific days each bill is due and when you plan to pay it. Consider your pay schedule and how it aligns with due dates. If you plan to mail in a payment, mark your calendar with the date that it needs to be in the mail versus the actual due date. For more tips and tricks for paying your monthly bills on time, visit OneMain Financial.